The Young Macs are invited to join us as we go to enjoy some creatures of the night at Innis Point Bird Observatory. We will be hoping to mist net some Northern Saw-whet Owls as they pass through on their migration. If we are successful, we will be able to take some measurements and band them as well to help scientists further study their migration. Please sign up early as spaces will be limited. Contact Angela at angela_skevington@yahoo.ca to sign up by stating the number of people in your group. At that time we will send directions and more information. Because of the continuing cold weather, the date of this event has been moved ahead from Friday to Saturday to improve our chances of seeing these animals. in conjunction with the Central Experimental Farm Research Open House. One of the great sights of early spring is the mating display of the American Woodcock. These shorebirds are common but require a special effort to see well. We will be driving 45 minutes to the Munster area to look for these birds as we know this area well. Meet at 6:30pm at the Park and Ride on County Road 29 just north of highway 417. Bring binoculars and a flashlight and have kids wear snowpants or rain pants as we will be laying on the ground at times. It will be a bit of a late night for kids as these birds are only active at dusk and after dark but it should be a lot of fun and well worth the loss of a few winks. If we are lucky we may also hear or even see an owl as the area is great for a variety of wildlife. Adults without kids also welcome! If you have any questions, please email angela_skevington@yahoo.ca or call at (613) 832-1970. Meet at the Macnamara Trailhead on McNab Street at 1 p.m. - 3 p.m. (weather permitting) for a walk to count the birds. We'll be learning about some of our feathery winter residents and recording how many we see and hear to report to the group. Please register ahead by email with Telsing Andrews at telsing_andrews@hotmail.com. Sleepy bumblebees and sunning garter snakes, come and learn about what these (and more) backyard residents are doing as the growing year winds down and how they overwinter. An interactive walk for young field naturalists. This field trip has been cancelled. Calling all Young Naturalists, the forest of late spring looks very different than the forest of midsummer. With the leaves not quite unfurled on the deciduous trees, wildflowers burst from the ground and set bloom fast while sun still floods the forest floor. 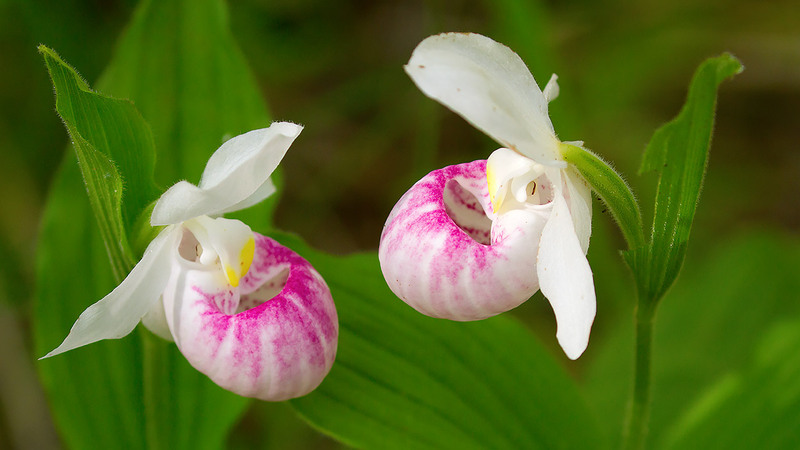 Join us to see the ephemeral spring flowers and to observe other signs of late spring at the Macnamara trail. We'll be taking notes, and doing some drawings to compare with a later walk at the same location. In the meantime, if you want to learn about a neat interaction between ants and flowers, check out the elaisome. NOTE: THIS EVENT HAS NOW BEEN CANCELLED. Salamander Conservationist Matt Ellerbeck (A.K.A the Salamander Man) will be joining the Young Macs and interested adults for an insightful talk on nature's tailed amphibians...the salamanders! The presentation will feature live species both local and exotic! Matt Ellerbeck is licensed with the Ontario Ministry of Natural Resources, and is also a Partner of the Amphibian Survival Alliance (ASA), which is the world's largest partnership for amphibian conservation. Young Macs and adults will meet at a family sugarbush to see how it operates, and to look for signs of wildlife including snapped maple branches from squirrels hoping for treats, insects attracted to the sap buckets, footprints in the snow (depending on the level) or even other critters appearing from the leaf litter. All going well, we'll also be boiling and have some of the sweet stuff available for sampling. Join Telsing Andrews at the Macnamara Trailhead as the Young Macnamara Field Naturalists explore seed dispersal — from those that hitch a ride on your socks to those that explode to new locations. Register at youngmacs@mfnc.ca and address any questions about the outing to this address as well. Be sure to check the Macnamara website before heading out on Sunday in case there are any last-minute changes.